I don’t usually buy graphic novels that are not wrapped in transparent plastic for one reason. If it is open, it means that other people have already scanned or browsed it. And if a lot of people have already touched it, chances are that the graphic novel will have creases and folds due to mishandling. Every comic book geek knows that a value of a comic book diminishes once it has undesirable “scars”. And I have adapted this rule in buying books too. But there’s always an exception to every rule. 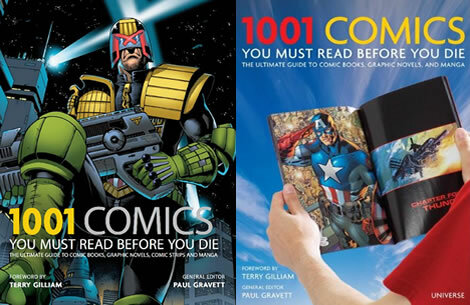 And this book is that exception: 1001 Comics You Must Read Before You Die. When I first saw this book, there was only one opened copy of it left in the shelf. I browsed through it and saw a big list of comic books.